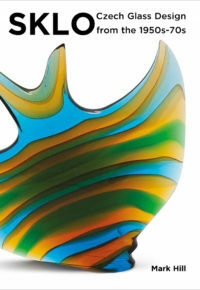 Mark Hill Publishing Ltd is delighted to announce the publication of an exciting new bookalogue on Caithness Glass. 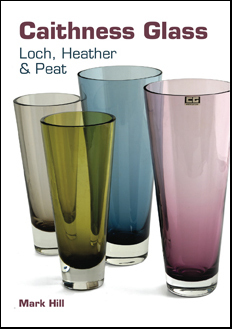 Published to accompany a major travelling exhibition of glass from the Graham Cooley Collection, the book also commemorates the the 50th anniversary of the founding of Caithness Glass in 2011. 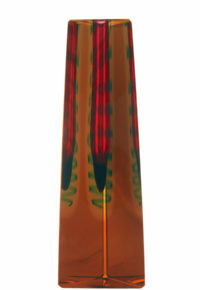 Wildly successful in its day, and found in hundreds of thousands of homes across the world, Caithness Glass produced from the 1960s-90s is a hot and rapidly developing collecting area. 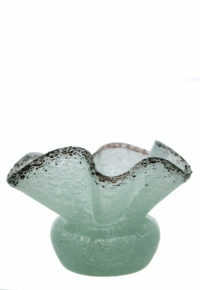 Until now, the company has been best known by collectors for its paperweights, while the designs that built and maintained the company’s reputation have been largely misunderstood and ignored. This is now changing, and 20thC design and glass collectors are reappraising the high quality Modernist, and often complex, designs for vases, bowls and decanters by the innovative and progressive designers the company employed. Sure to become renowned, these include new and familiar names such as Domhnall ÓBroin, Charles Orr, Colin Terris, Helen MacDonald, Alastair MacIntosh, and Gordon Hendry. 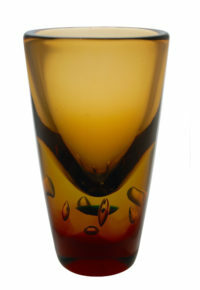 The past decade has seen an explosion of interest in – and prices being paid for – similar postwar glass by Whitefriars, King’s Lynn Glass, and Dartington Glass. 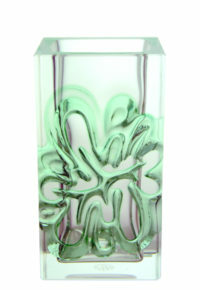 Caithness glass, arguably the fourth and final key company of British postwar glass design, looks set to go the same way. Click on ‘Books’ in the menu above to find out more and buy your copy now. This entry was posted in Blog, Books, Glass, Showcase. Bookmark the permalink. Brand New Retro & Vintage Fair in Brighton!